You’ve got your website built. You’ve added some content, and now you want everyone to know how much your enjoy making t-shirts, and better yet, purchase hundreds of t-shirts from your website. You search t-shirts in Google and your site is not on the top of the front page. 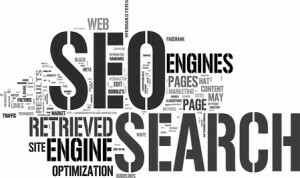 Here are some tips on how to be found on the Internet and boost your site’s Search Engine Optimization (SEO). These are basic tips that will help put you ahead of the average website. Be an expert. Google works very hard to make sure the first result on any search keyword is truly the best site with the best content. It wants to make sure the best sites appear first. This has to do with content. You need to write. Start a blog on yoru site talking about t-shirts, how you design them, how to buy them, etc. This content should be relevant to the keywords you want to rank (appear on Google search results) for. Links. Google also considers your site important when it sees that important people find it important. In essence, sites are generally ranked on Domain Authority, which shows how important it is to the rest of the world. When “big name” sites have links to your site, or many different sites have links to your site, it will help Google see that people find you important. One way to accomplish this is to list your business on local directories (e.g., YP, etc.). Another way is to contact news outlets and have their reporters write about you and/or your site. Optimize. Optimizing your site is easier thank it sounds, and is a way for you to make your site as readable for Google as possible. You want Google to skim your site and understand exactly what you’re all about, and make it as easy as possible for it. Change all your alt attributes. Review your titles and metas. A title is the type that appears on the top tab of your webpage, where the meta is the writing underneath the blue title on a Google search. A great resource for setting this up is the Yoast plugin for WordPress. It helps simplify things for you and allows you to change your titles and metas easily. Site speed. This is probably the least of your worries, as Google considers this a small ranking factor (about 1%), but it can’t hurt to make your site the best it can be. First, test your site, and make any necessary changes. Confirm your pictures as as small as possible, and you don’t have too many things loading on one page. Although this may not specifically help your SEO too much, it will make visitors less frustrated, which will bring them back for more t-shirts. Build a brand. Design your site to be unique, fun, and interesting. Your logo and look and feel should be recognizable, and something your target market can related to. Build a site worth visiting. Doing SEO for your website is a constant exercise that needs to be reviewed and monitored. As algorithms change, you need to stay up with everything happening. If you want to get serious about SEO, subscribe to some digital marketing blogs, download the Moz bar plugin for Google Chrome, and learn what all the technical terms mean.